Turnover: 1 - 5 Mil. Western part of Slovenia, close to Italian border. Munchen (3,5h), Ljubljana (2h), Udine (0,5h). Highlights of Kovinski izdelki HRAST d.o.o. We used diamond tool to be albe to achive requested surface finish. Tool that was developed is unique due to long tools life and is suitable fro high volume production. Implementation of high pressure unit on standard CNC lathe helped us to optimized cycle time. Costumer requested form us to supply them assembly of machiend parts. For assembly process screwing and cold forming technology is used. Part is assembled from 3 individual machined components. High corrosion resistance requirement has been solved by using ZnNi plating. Hihg skilled engineering work on preparation of assembly process helped us to get nomination. Automatization of assembly proces gave us competitivness. This product is excelent ecample of combining machining skills and assembly process. stainless steel + carbon steel + ZnNi plating. Part has very tight position tolerences on milled radius (+-0,025 mm). Costumer requirement is surface finish Ra 0,8. Invstment into machine with robust casting and stable milling tools. Specialized milling tools for production of radius. Additional polishing operation at the end of the production process. Deep drilling and reaming of internal holes in H7 tolerance. Dedicated drilling tools using cutting oil under high pressue ensuher us to produce parts in requested tolerance. Machine and optimized tooling allows fast and competitive produciton. Turnig, thread cutting, drilling, reaming, zinc plating. Smooth threading with no burrors, drilling fo small bore. Inplementation of thread rolling process into turning machine gave us excelen results on thread quality. To be able to drill bores diameter 1 mm high speed spindel has been installed. Unconventional process of thread rolling and high speed drilling inplemented on CNC turning machine. 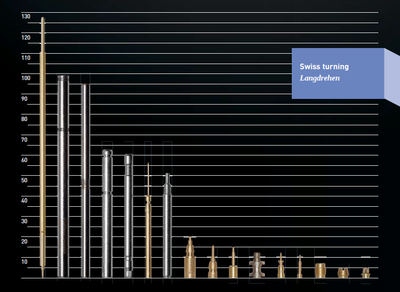 Long drilling into stainless steel material. Challange to enshure high quality of cone sealing surface. Inplemenation of canned cycle drilling in combination of high pressure cooling with cutting oil. Special step drill developed for production of sealing cone. Canned drilling cycle shortened swarfs and guarantee high quality of drilling and swarf removel during machining process. 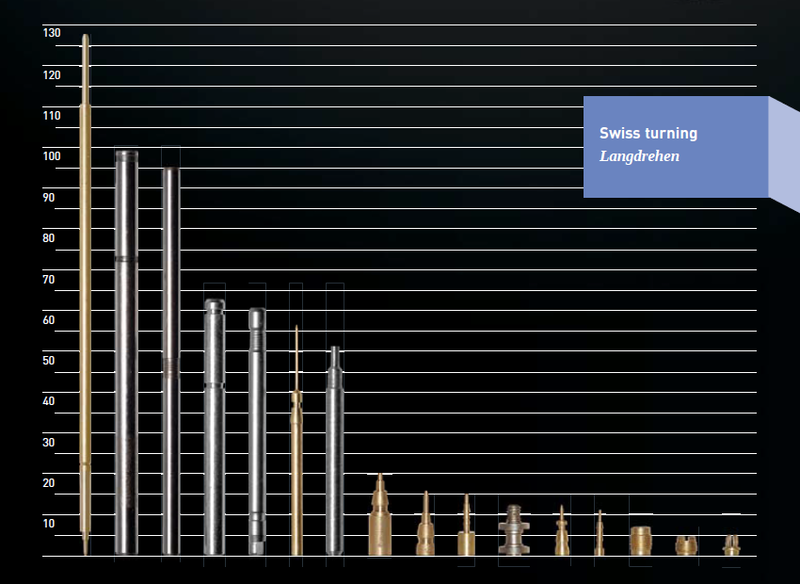 CNC precision turning- swiss turning - swiss turned parts, diamter 1mm - 20 mm. Kovinski izdelki Hrast d.o.o. is a well established and experienced precision engineering company manufacturing millions of precision CNC turned parts and machined components to customer specifications. 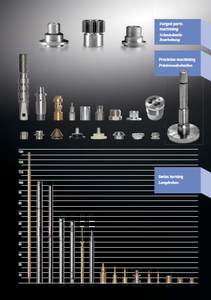 Since 1985 we supply precision machined components from 2mm to 52mm diameter to many diverse industries worldwide. With continuous investment in the latest technologies whilst maintaining our traditional capacity and skills, we can compete in volume with emerging economies but with the backing of European sourced materials, full traceability, and friendly and efficient service. This, alongside the latest cleaning, inspection equipment and highly skilled workforce, makes Kovinski the ideal choice for all your subcontract needs. Process organization of the Kovinski izdelki Hrast d.o.o. complies with the guidelines of IATF 16949 technical specifications.We are using lates measurement equipement to enshure to be able to measure microns. We are using contact and non contact measurements methods.According to costumer needs we can offer 100% control with cameras, SPC anaysis of measured dimensiones and CMM measurement of complex geometries. We ensure full traceability from raw material to finished components. We produce precision machined components from 2mm to 52 mm diameter. Our customers are from automotive, electro, white goods, hydraulic, pneumatic and machine building industries.